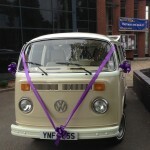 "Walter helped make our wedding day so special"
Walter is our 7 seater beige and white VW camper. He is perfect for weddings offering the flexibility to carry, the bride and bridesmaids, groomsmen and of course the romantic journey for the newly married couple. Where the journeys are short we can offer multiple journeys giving that added level of flexibility essential for a successful Wedding day. 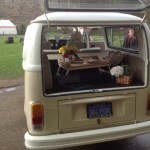 Walters seating is really comfortable and of the highest quality in hand stitched cream and beige leather throughout. Just perfect for your luxurious wedding transport. 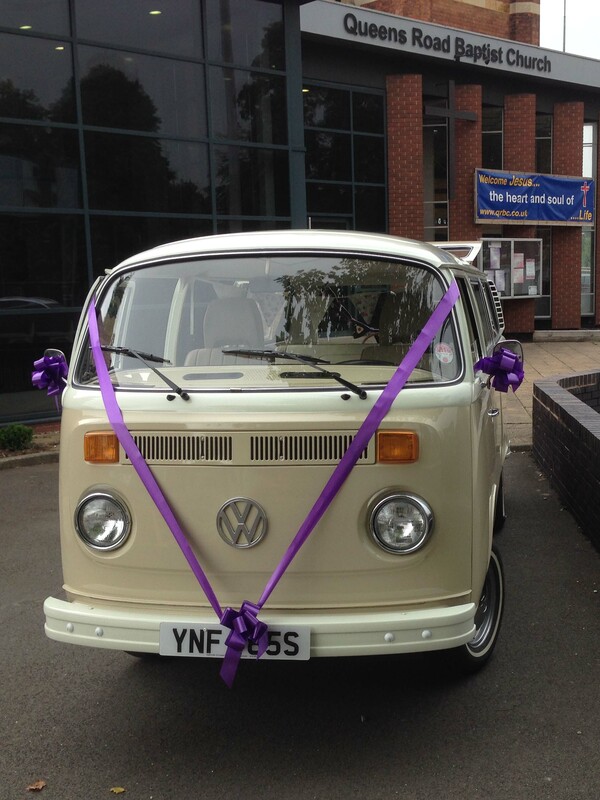 Walter is a great option for your Camper Van wedding including a 40 mile round trip allowance and bunting and ribbon to match your colours at no additional cost. Why not send an enquiry or call us now on 07764847644 to discuss you requirements? Walter was originally from the sunshine state of California before being imported to the UK in 2011. 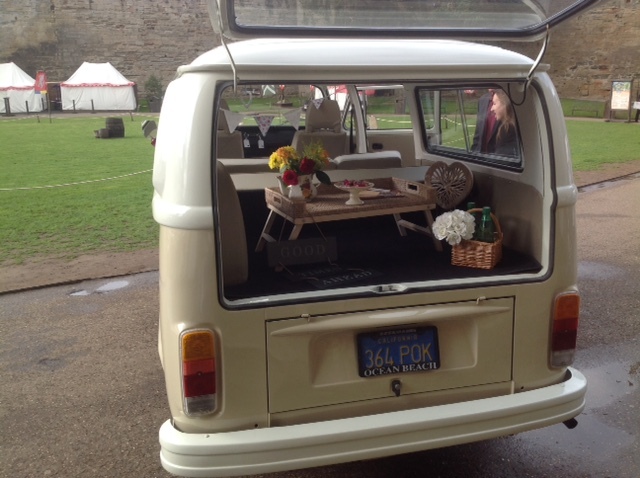 He joined the family in July 2013 and has been completely restored. 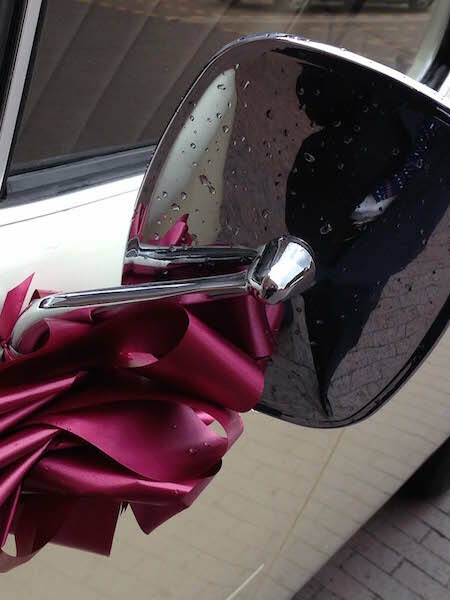 Cream and beige hand stitched leather interior so you can travel in the lap of luxury on your wedding day. Maximum seating is 7 depending on the sizes of people and dresses. 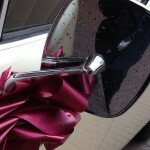 Full width hand wind sun roof over the rear seating ideal for the all important wedding photographs. Powered by a 2.0 L engine only found in those original Californian Bays.